HELP. 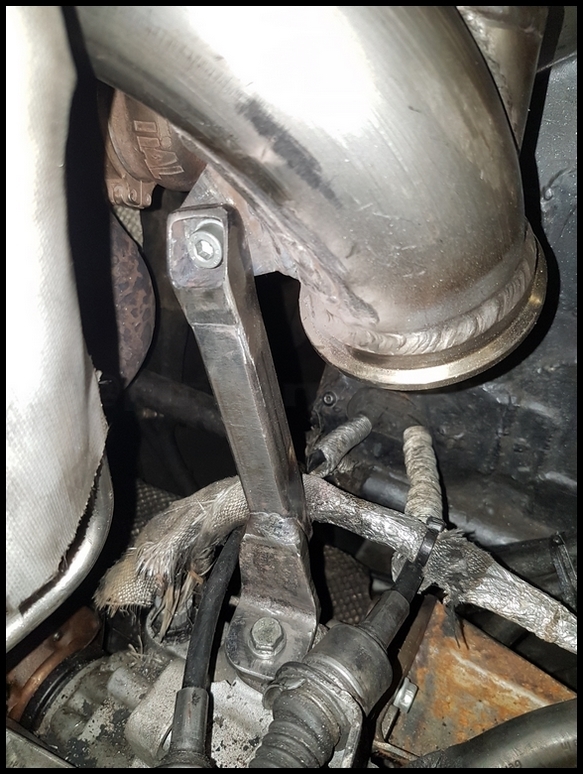 Failing flexi`s on Turbo downpipe. Thread: HELP. 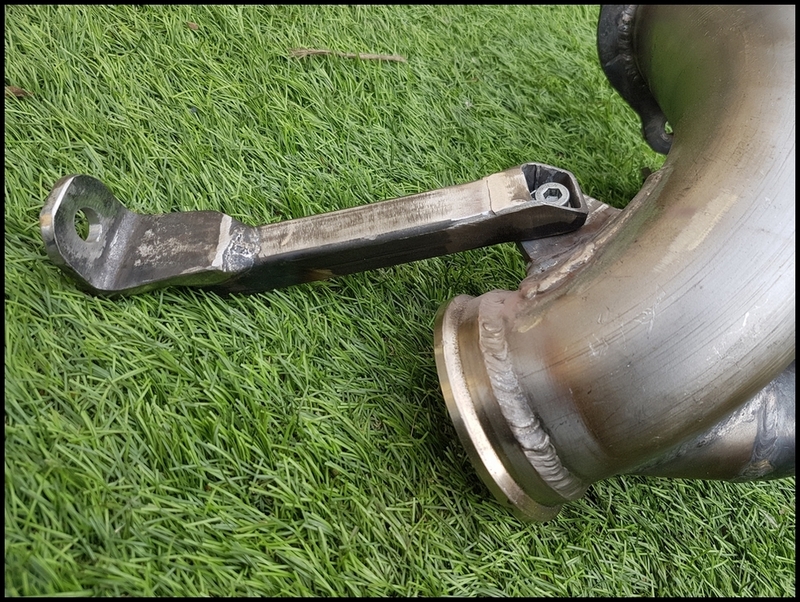 Failing flexi`s on Turbo downpipe. Is now the time to buy extra V bands and have a spare flexi made up, identical to the one on the car? And hopefully having it means you'll never need it! Good work, those welds are night and day Vs the ones on the old bit. Neil will have to update his footer, again. 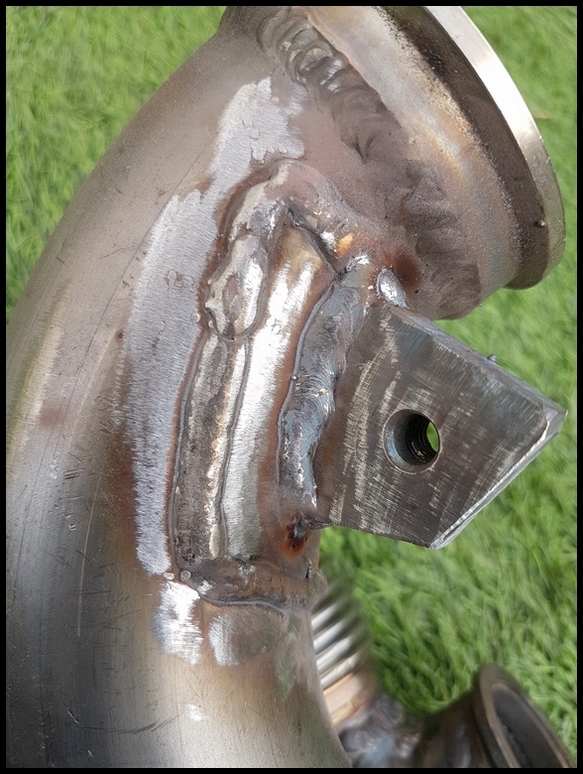 That looks really professional Nige, to someone that can’t weld, that new part looks like a bought, rather than shed-made part. The brace is over-engineered. If I`ve learned one thing over the years is that if something can fail, it will. The weakpoints on something like this are the foot or the mount to the downpipe. I`ve made the foot from a bit of 5mm angle, welded to some box then a small piece of 4mm box and plate for the attachment point. All painted up and bolted in place. Just have to fit the bung for the wideband sensor today and finish welding the V-band clamp to the flexi and it`s finished. The problem with this is I won`t know until the end of the year if it`s improved the life of the flexi or not.